This is an amazing book! 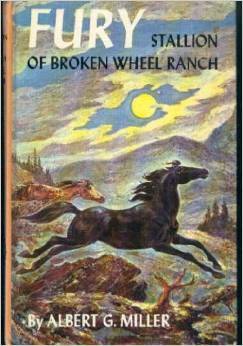 It's about this horsecrazy orphan boy named Joey who gets adopted by 2 horse ranchers. When Joey gets adopted he meets the horse they've captured. His name is Fury and he's a jet black stallion. He is very wild but Joey soothes him. Joey and Fury have many adventures together as Fury is accused of leading away horses from other ranches, and other exciting adventures. This a fun, great book. It's an oldie but a goodie; you should read it!